Weston Hospicecare is inviting supporters to take to the skies in support of an exhilarating new challenge for its 30th anniversary year in 2019 – our first ever wing-walk. A unique opportunity to enjoy the thrill of a lifetime, flying at up to 140mph and 1,000ft in the air atop a World War Two bi-plane. 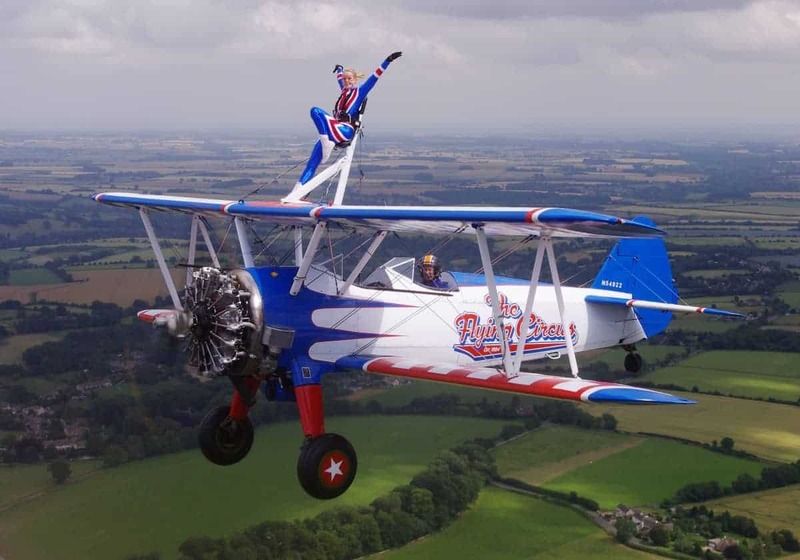 Wing-walkers will enjoy a one-to-one with the expert pilot who will be taking them into the air, during which they can choose which manoeuvres they are brave enough to take on. They will then enjoy an exhilarating series of flypasts, zoom climbs, steep dives and banks while their friends and family cheer them on from below. The event will take place at Rendcomb Airfield in Gloucestershire on June 21. Flight firm Aerosuperbatics will be familiar to many people in Weston, as its wing-walking tandem display team features annually at the town’s air festival. The firm is considered to be the world’s most established and experienced wing-walking team, and has a 100 per cent safety record in its 30-year history. You can secure a place by paying a £150 registration fee, and will then be asked to raise a suggested minimum sponsorship total of £500 for the hospice. Although organisers are keen to open the experience to as many people as possible, there are some restrictions to who can take part. For safety reasons, the experience is limited to people of a maximum height of 6ft 1in and weight of 13.5 stone. Participants must be over 18 too, while over-65s will be asked to provide either a doctor’s note or a self-declaration to confirm they are fit and able to complete the challenge. Read through the full terms and conditions via the links below, and then download and complete a registration form. How can I access Day Hospice? See this week’s lucky winners! What additional services are available through the Day Hospice?